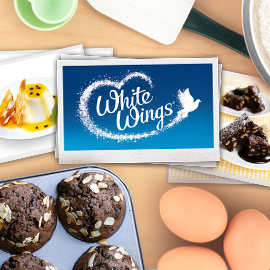 White wings, an iconic Australian brand providing high quality baking ingredients for bakers, wants to celebrate baking by creating a bigger stage for bakers to express their passion as well as engaging more people into the magic world of baking, on the Internet. Your challenge is: What interactive, enjoyable and contagious experience could you create online (on social media or as an app/website…) to make more and more people fall in love with baking and get connected through baking? Format: Presentations with pictures or illustrations and text. This contest will end on October 21. Do not hesitate to contact us through the discuss tab for any questions.